Windows Phone 7 Series Too Late or Too Early? Ever since Windows Phone 7 Series show off at Mobile World Congress 2010, all internet news channels are flood with Windows Phone 7 Series stories. Especially twitter, tweets about Windows Phone 7 Series are flying all over the internet. After look at the picture of Windows Phone 7 Series interface and read some detail about it, I want to say “Windows Mobile development team finally did something great.” The concept about the interface is simple and nice, no more old fashion style like previous version of Windows Mobile. Great job! Demo of Windows Phone 7 Series can be found here. I guess Windows Phone 7 Series will be the killer app for Microsoft in smart phone market. But wait, when will it release? End of this year! Gosh, aren’t this is a little too late? With more than 6 months time, new version of Android and iPhone might already hit the market with all the improvement to counter attack Windows Phone 7 Series. Future more, the hype of Windows Phone 7 Series might not be able to last until the end of the year. Is Microsoft telling the world about this good news a bit too early? With just interface improvement and no other special or unique feature, it might not hold the competitors for a long time. Let’s hope Microsoft will give us some surprises and keep the hype till the release of Windows Phone 7 Series. Silverlight 4 for Windows Phone 7 Series? Xbox integration? Microsoft releasing their own mobile phone? 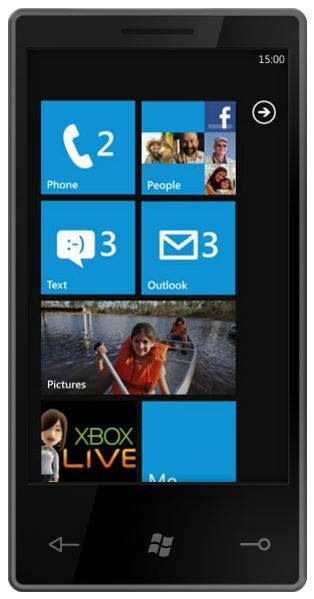 I do like the design of the phone use by Microsoft to demo Windows Phone 7 series. Let us just wait and see.